Esther is originally from Haiti and lives with her mother, stepfather, and 3 brothers. Her stepfather works in construction and her mother cleans houses to support the family, yet they still have many needs. 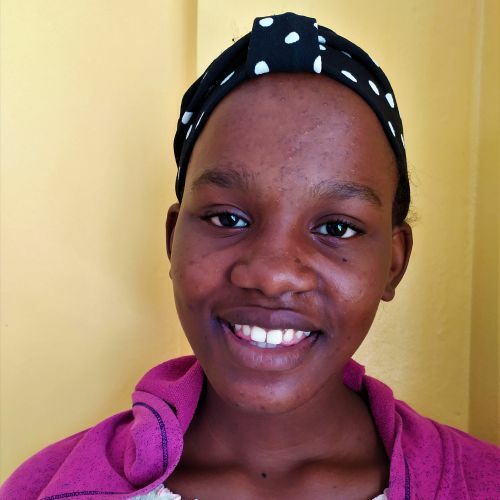 A quiet, obedient girl, Esther is a good student who enjoys learning at the Kids Alive school. Her friendly nature makes it easy for her to get along with others and she always wears a smile.